Set of fish knives and forks given to Josephine Marx and Rudolf Höber at the time of their wedding, Berlin, August 10, 1901. 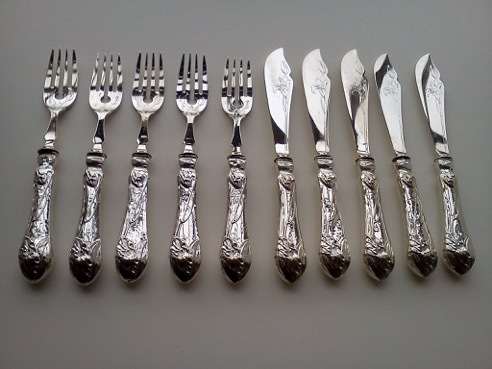 Special sets of knives and forks for eating fish became popular in Europe in the late 19th century. The steel blades used at that time in ordinary silverware would react with fish in a way that imparted an unpleasant metallic taste. Fish sets had silver-plated brass blades and tines that did not interfere with the delicate taste of fish. The set pictured here was given to my grandparents, Rudolf and Josephine Marx Höber, as a wedding present at the time of their marriage on August 10, 1901. 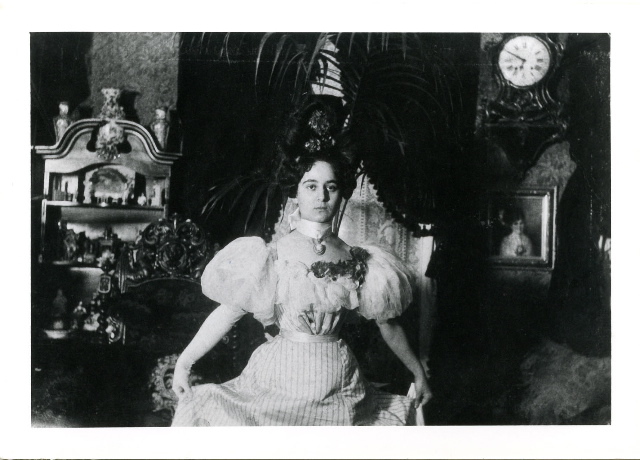 Josephine Marx on the day of her wedding to Rudolf Höber, August 10, 1901, at her mother’s apartment in Berlin. 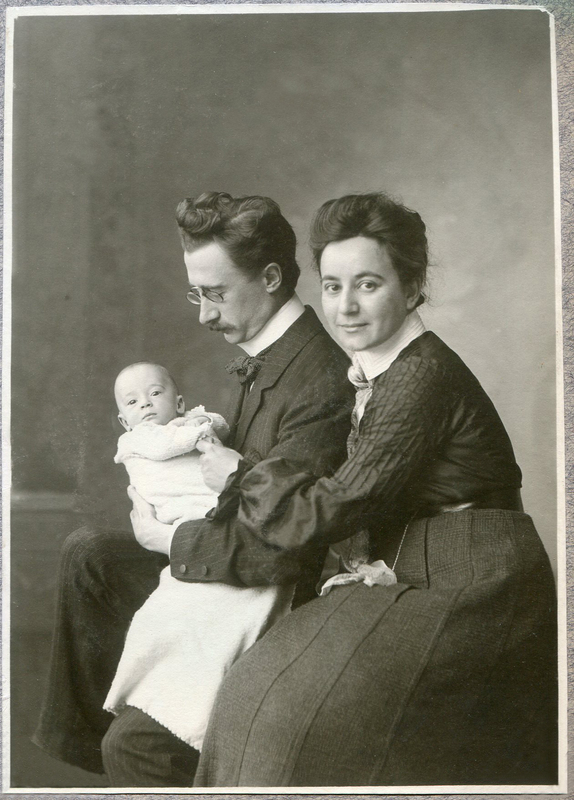 Rudolf and Josephine Höber with their first child, Johannes, around December 1904. Rudolf and Jospehine were fortunate in being able to bring the fish set with them when they were driven out of Nazi Germany and fled to America in 1934. After Rudolf and Josephine died, the fish set was passed on to my parents, Johannes and Elfriede Hoeber. 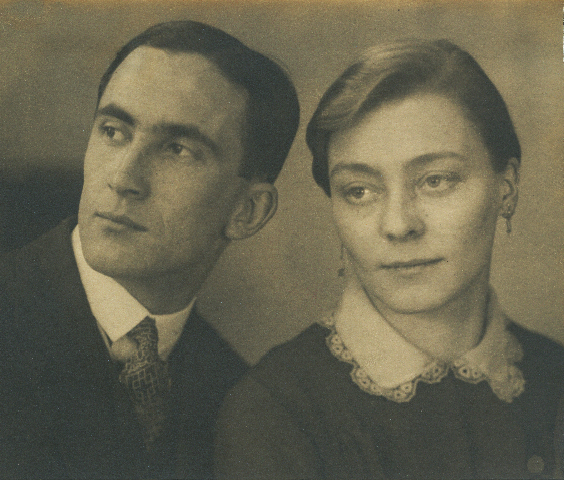 Elfriede Fischer and Johannes U. Höber at the time of their marriage, Düsseldorf, December 22, 1928. After my parents’ deaths, the fish set came to me and my wife, Ditta. 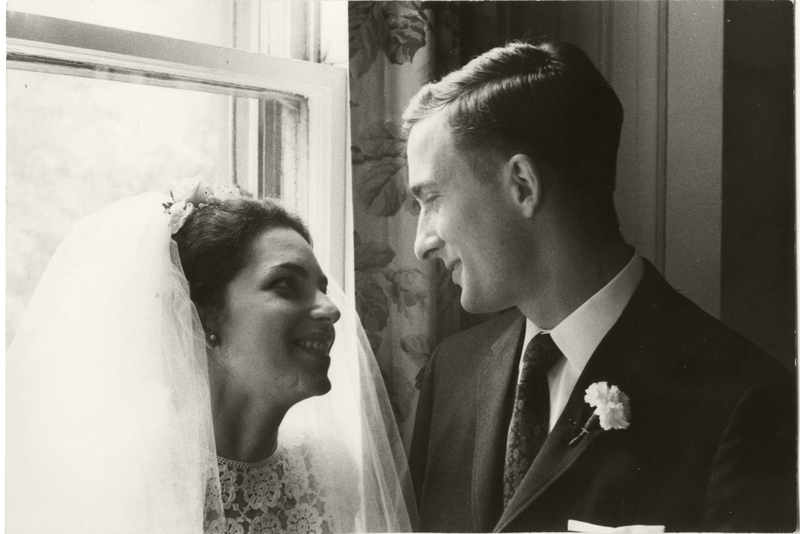 Ditta Baron and Francis W. Hoeber at their wedding, Philadelphia, July 1, 1967. On New Year’s Eve, December 31, 2014, our younger son Julian married Heather Rasmussen, at the Maritime Hotel in New York City. We decided that this was the time to pass the fish set on to a fourth generation. 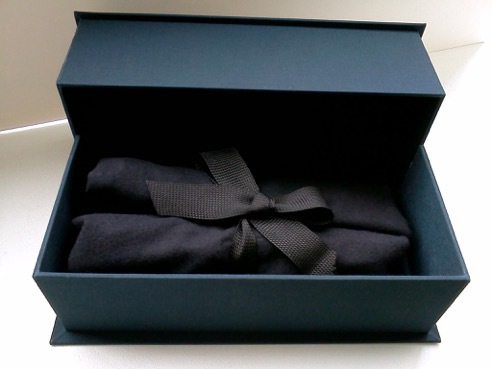 We made a new silvercloth wrapper for the forks and knives and a new box. 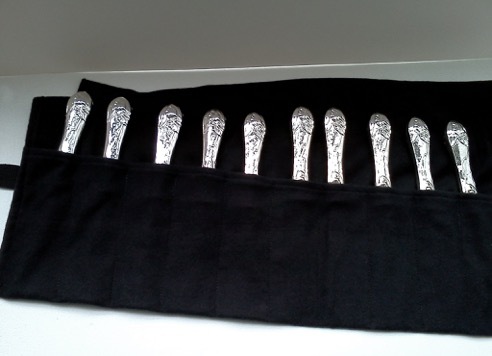 The silver set, newly polished after a century of use, is now with Julian and Heather in Los Angeles. 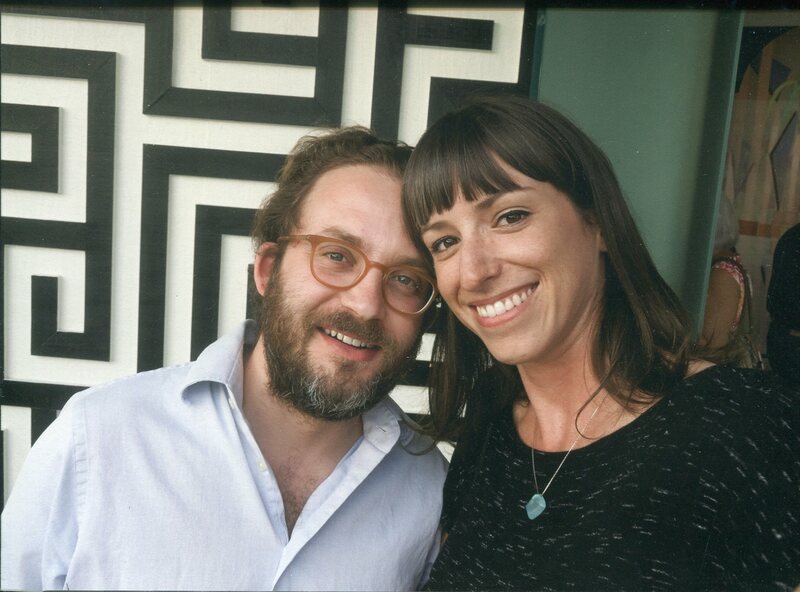 Julian Hoeber and Heather Rasmussen, Los Angeles, December 2014. This is a wonderful story. You look so much like your father. Thanks for sharing!! Frank, this post made me teary-eyed. Great story.